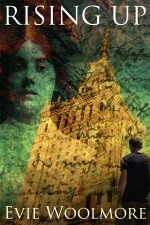 Read an exclusive extract from the beginning of the latest allonymbooks book: Broadway Murder of 1928 by EJ Knight. 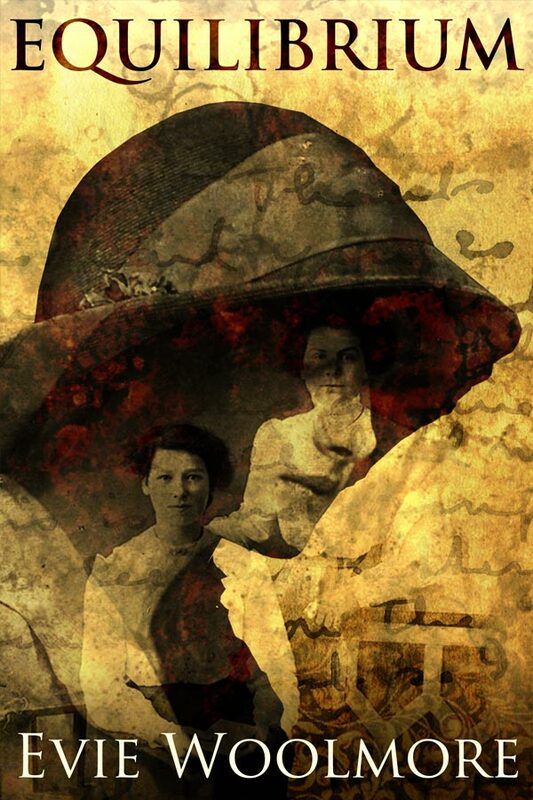 Historical crime fiction at its best. Mutti is standing at the end of the alley, ankle deep in blood. Old Mr Goldblum and his son Itai are standing either side of her, their hands resting on her shoulders, their beards glistenin’ in the yellowish light from the back door of the pub, their long black coats flutterin’ like crows’ wings. Someone’s playing ‘Potato Head Blues’ on the piano inside. It sounds like me playing, making the same mistake over’n’over before the stop-time section, before Louis Armstrong starts his solo, but when I look down I’m still standing out back and there’s a broken bottle in my blood-soaked hands. ‘But who will mend my Lucille’s dress?’ Mutti’s saying in German, pointing at me. Mutti starts crying. Mr Goldblum shakes his handkerchief out of the pocket of his coat and banknotes fall from it, dirty scraps of paper fluttering into the blood that swells in a pool towards him. I lurch to catch ‘em before they soak into the darkness but trip over something at my feet. The man’s lying there, the man from the pub, the one who leered and drank and leered some more before he grabbed at me with his greasy fingers. He’s trying to sing his dirty songs at me again, but the dark gash at his throat bubbles and glitters as the air pops through. His trousers are round his ankles, but that swollen bit of flesh he tried to shove into me has shriveled back in on itself, into the shadows. ‘You ‘ad it comin’ to you, you little sow! You play the Devil’s music, you end up in hell—’ His mouth is moving but the voice is coming from behind me and I turn to find his friend standin’ there, his tankard still full and dripping. It ain’t the first time I’ve woken up screaming. My arms flail, throwin’ off the heavy hands that grasp mine so tight. I glance wildly around me. The unfamiliar ceiling, dirty white and edged with rust. The round window behind the sofa, nudging in its hinge as the gale batters it from outside. The whole tiny room is spinning round me and I feel sick. I struggle to sit up, shudderin’, grabbin’ on to anything that’ll steady me, but my eyes are still darting round, tryin’ to remember where I am. This is no jail cell, but I feel trapped right enough. I’m slow to remember someone was holdin’ me. I drag my eyes back to a young man kneeling beside the sofa. I frown at ‘im and he frowns back, deep creases in a pale forehead beneath a neat side-parting of fine blond hair, his eyes saucer-wide and black with longing behind his wire-framed spectacles. ‘A nightmare,’ I say, correctin’ him to the language I want to speak. ‘It is me,’ he answers, this time in heavily accented English. ‘You remember? I am Gregor?’ His eyes flicker to my hands, and I stare down at them. There is a thin gold band around my ring finger, a little too big even for my long fingers and strong knuckles. I gulp down air and try to think, try to remember what happened last time I woke up screamin’. But it don’t get any easier. The Victrola is cranking out a Brahms Étude, but the boat is rolling and the needle’s jumpin’, squawkin’ out the same unfinished bars again and again. I struggle off the sofa and go to it, putting the stylus back in its cradle. Without the music there’s nothing to hide the dreadful wrenchin’ of the trawler against the waves, the grunt of the steam engine beneath our feet or the drip-drip of water from the ceiling into a tin bowl in the corner. Glass bottles rattle in a cabinet on the wall. The cabin reeks of antiseptic and oil burnin’ in the lamps. I hear Gregor stand up behind me. As his hands settle on my shoulders the memories settle with ‘em, the endless blood drains away from the darkness of my imagination, and I remember. I can’t help lookin’ down at my finger again. I turn to face him and his hands drift gently down my arms, his thumb snaggin’ on a hole in the sleeve of the thin jumper I’m wearing. None of these clothes are mine. I stole some of ‘em, and borrowed the rest. When we dock in New Jersey I’ll probably go ashore in a blouse, combis and a pair of boots. Everyone on this boat needs all they can get if they’re going to survive. I glance at the tangle of blankets on the floor next to the sofa. This cabin is for a doctor workin’ and livin’ alone. There ain’t no married couples or families on this boat. The captain won’t have ‘em, no matter how desperate they are, no matter how much they’ll pay. It’s hard enough to dock a boat that shouldn’t be there. And people who are scared of being separated only draw attention to themselves. I think of Mutti. When I told her what’d happened to me, when she realised there was no other way, she let me go quietly. She was only screamin’ in my dream. But I can hear her even now. The marriage bed can wait, Gregor had said, time for that when we get home to Port Republic. But no amount of decency ain’t stopped him imaginin’ what I might be hidin’ beneath these shabby things, and his hands often linger when they draw a strand of hair from my cheek or pass me something I’ve dropped. I’d never believed in love at first sight, never even seen it before Gregor found me hopelessly wanderin’ the docks in Bristol. Oh yes, it was tinged with pity, I’m not daft enough to pretend it weren’t. But I felt the breath catch in his throat as he looked at me. And I was so desperate to get out of England I never considered I couldn’t learn to feel the same way. I look round the room again. It’s his room alright. I barely know ‘im, but everything there is to know about my week-old husband is here in this room. The neatness of his surgical instruments cleaned and wrapped in their leather cases. A book of Shakespeare’s poetry abandoned on the blankets, pencil markings and underlinings the only sign that if he feels every word he don’t quite understand ‘em. The diplomas from medical school in New Jersey that hang above the clock. It swings on its chain against the wall, its hands dividin’ the face at something past two in the morning. Is that something past two in London or New Jersey, I wonder. Suddenly my eyes sting with tears and I sag back against the Victrola. Gregor grabs at me and pulls me to him, his thin arms feelin’ uncertainly round my back, the sweet musty smell of cedar seepin’ out his clothes as he holds me. I cling on ‘cause I have no-one else, but my hands are balled into fists and I try not to feel the ring as it digs into my fingers. Something in the crossing reminds us of the very thing we’s runnin’ away from. Prison is what I dreaded for what I did back home. But prison is where I am. The next afternoon, Gregor brings me a present. He’s been down in the hold, the gloomy pit mockingly called Steerage by the others who journey in the decks beneath my feet, seein’ to a fellow with a bad wound in his leg. It’s a bullet wound. I knew that the minute I saw ‘im on the dock, the captain watchin’ while Gregor decided if the feller was fit to travel. But it seems his money was good, doubly good if you get my meanin’, and the captain let him board on condition that Gregor fixed ‘im up good enough to walk before we reached New Jersey. The boat only docks in New Jersey if the captain can guarantee the harbourmaster that his stowaways would pass the medical inspection if the boat was forced to dock proper at Ellis Island. He don’t give a damn about who we are or what we done that brings us beggin’ to his boat. But he don’t want no-one dyin’ or goin’ out their minds on the way over. And to be sure of that he needs a doctor, a good ‘un. A doctor with a good heart. Who offered to work for free this crossing if the captain would carry an extra passenger who didn’t have the forty quid to make her way, and marry them as soon as the anchor was hauled up. Gregor comes back into the cabin sheepish-like, holdin’ the present out to me. I try to smile at him, kind, caring — I want to be kind, I do, even though my heart is dead because I killed a man. In the daylight I think of the Lucille who defended herself as some friend of a friend of a friend, another girl at the factory, a barmaid in one of the pubs I used to play piano in. It’s only at night she threatens to smother me from inside. But the centre of the record is reddish-brown, rimmed with a ring of gold. Gold indeed. The classy cream signature of the OKeh label. I run my fingers over the lettering. ‘Where d’you get this?’ I mumble, unable to lift my eyes from the words in front of me. Louis Armstrong and His Hot Five. Lil Hardin. Armstrong’s wife. Armstrong’s piano player. His expression is awkward and I feel guilty. But I can’t be a dutiful German wife. I caress the wax disc with my thumb as though I might hear the music seep through my skin, then reluctantly I hold the record out to him. I want to be grateful— I am grateful. Lil Hardin heard me screamin’ and she came to me like an angel. Gregor takes the record and I stretch my fingers in my lap. The ring rolls loosely against my knuckles. My heart is beatin’ fast, ‘cause I ain’t never heard this number before, even though I can tell you every disc Armstrong cut in 1926, and who played with ‘im on it. ‘I have not heard this jazz before, but I am sure I will like it,’ he says uneasily, setting the record carefully on the turntable. He cranks the machine then lifts the needle and sets it down. The Victrola crackles as though it’s taking a breath of dirty air, then it belches forth a few glorious notes from Armstrong’s cornet that bend and strain to hold their pitch. It is dirty, wide and deep and dirty like the River Thames. Gregor’s eyes widen. There ain’t none of the purity of his beloved Brahms. Johnny Dodds makes that clarinet stretch and sigh ‘til the notes are almost broke. You can’t hardly hear Lil Hardin’s pounding piano beat ‘cept for one beautiful little moment when she floats and falls through a gap left by the others. I can almost see Armstrong lookin’ over his shoulder and smilin’ at her. And then his voice breaks into a mouthful of scattin’ nonsense, as raw and meaningless and brassy as Kid Ory’s trombone. I get up quickly and go to the Victrola to lift the needle off, spare his agony, but he snatches at my hand and moves between me and the machine. His fingers writhe hard against mine but he’s noddin’ his head in time with the beat, he’s tryin’ to understand. And then Armstrong answers his own falling cornet call with a wail of agony and longin’ that twists my heart and the song ends. My palms are sweatin’ and Gregor’s fingers slide across ‘em, trying to get a grip on me. He swallows hard, his Adam’s Apple bobbin’ beneath the thin pale skin of his throat, his eyes as black as I’ve ever seen ‘em, so drunk is he on shock and desire. He licks his lips nervously, then he releases one of my hands and without breakin’ my gaze, he sets the disc to play again. Then he slides his hand across the small of my back, his short nervous breaths drownin’ in Armstrong’s blue horn. He draws me closer, his narrow hips pressing against mine, his clean shaven cheek unfamiliar against my forehead, then his mouth lowers, his breath brushin’ my eyelashes, my nose, finally my lips. He is as gentle as Armstrong and his band are not, and I am torn between them. For the craving I feel is for the music not the man, and though I let him kiss me, let his tongue dart between my lips, do not flinch when I feel him grow stiff against me, it is to the darkened clubs of Chicago that Armstrong takes me in my head and my heart. So when Gregor locks the door and leads me to the sofa, gently unbuttonin’ his shirt and then mine, I close my eyes and though I’ve never done this before, I try to do what’s asked of me without fear or too much hatred for myself. For I’m going to America. I’m really going to America. If you want to find out what happens to Lucille, visit Amazon and buy the book! Available through all Amazon sites including UK, US, Canada and Australia. I ain’t never been much of a writer. My spelling ain’t so good – EJ said it didn’t matter but I don’t want to make no fool of myself. Now, writin’ music, well, I’m much better at that. Penmanship like Bach himself, Manny tells me, not that he were around when Bach was composin’ his fugues an’ all, but writin’ Manny’s music out for the band means it’s got to be neat and tidy so as no one plays an F sharp when they ain’t supposed to. I know it’s jazz, but there still shouldn’t be no wrong notes. I’m fond of Manny. He’s a good man, and he writes music you wish you’d written yourself. You wouldn’t think it to look at him. He looks like Schubert, little glasses, wild hair, pale skin and a permanently worried expression. He writes a damn good song an’ all, but it’s more Jelly Roll Morton than the Maid of the Mill. But then, he’s got Tommy Anzonetti to write his words for him, not some miserable German poet. Tommy, who turns the head of every girl he passes, but only has eyes for me. Tommy who can make you laugh and make you cry in the same line, rhymin’ clever and tellin’ it how it is. His shows don’t make the world seem perfect, but then that’s ’cause it ain’t. He knows that well enough himself, only I’d rather he didn’t know just how imperfect my world is. Tommy, who makes the breath catch in my throat when he looks at me. Tommy, who was writin’ songs for me even before we met. I wonder sometimes what would’ve happened if I’d walked just one block west that day, and hadn’t walked past Manny’s family piano shop. I wonder what would’ve happened if I hadn’t convinced the landlord of The Ale and Anchor down Mile End to let me play ragtime on his piano on a Friday night. I wonder how my life would be different and I wonder if I could’ve lived with it being’ just the same, day in day out, the rhythms of New Orleans in my head drowned out by the rattlin’ sewin’ machines in Mr Goldberg’s overcoat factory up Whitechapel way. Dreams are all very well, but only if they come true. I’m not ungrateful. You should know that, you should remember it when you read my story. I could never have imagined a life like this for myself. That’s the thing about dreams. They only come out of what you know. You can’t imagine how different life could be ’cause you ain’t got nothin’ to build it out of. This, all this— playin’ jazz piano for a Broadway show— how could I ever have dreamed that? But it ain’t been easy. In truth, it’s been a livin’ hell. I’m lyin’ every moment of every day and I ain’t proud of it. But what else can I do? It’s lie or die. I can’t go back to London, not after what I did. It was self defence, but I still killed a man. But I’d do almost anything to stay in New York. I might be married to the man that rescued me, and in love with someone else, but I wouldn’t have it any other way. 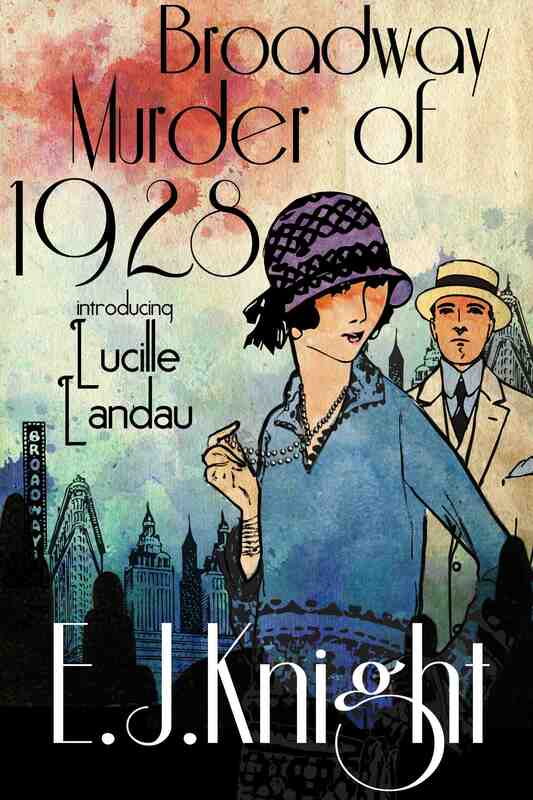 The first novel in Lucille Landau’s adventures in New York is Broadway Murder of 1928, as told by EJ Knight. You can buy her story at all Amazon sites, including UK, US and Canada. The next adventure, Tin Pan Allies and Enemies will be published in 2014.